BREAST FEST 2013!!! JULY 18TH – 20TH!!! Posted in Music News | Comments Off on BREAST FEST 2013!!! JULY 18TH – 20TH!!! JUST ANNOUNCED Full 2013 Lineup!! The Concert Event Of The Summer!! 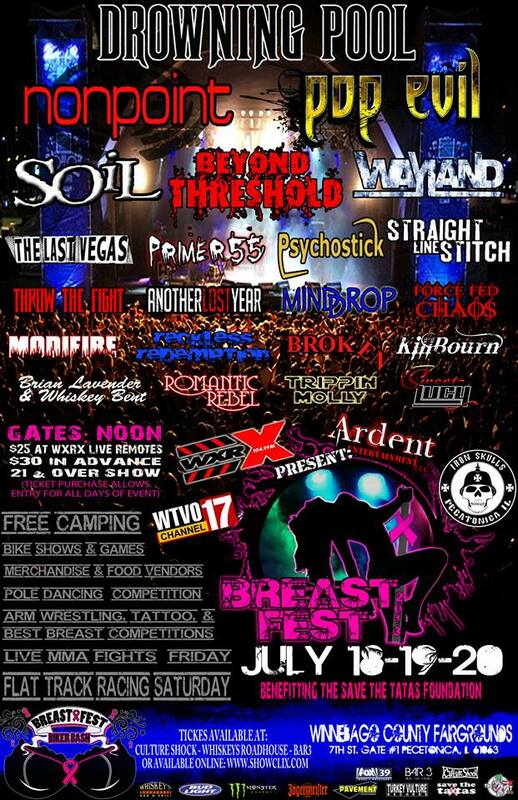 WXRX, Ardent Entertainment, WTVO, & The Iron Skulls Present: BREAST FEST 2013 – July 18,19, & 20th!! FREE Camping – 20 + Live National Touring Acts – Vendors- Tattoo Contests – Best Breast Contests – Pole Dancing Contests – Tattoo Contests – Arm Wrestling Contests – Bike shows & Games – Live MMA Fights on Friday – Stunt Bikes -Flat Track Motorcycle Races! THURSDAY July 18th – A Night of Touring acts: – BRYAN LAVENDER & WHISKEY TRAIN – ROMANTIC REBEL – TRIPPIN MOLLY – SWEET LUCY!! 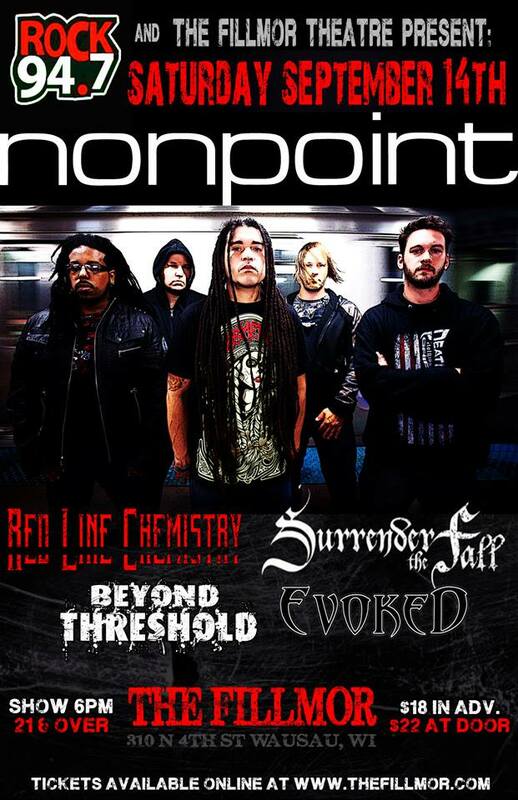 DROWNING POOL – NONPOINT – POP EVIL – SOIL – BEYOND THRESHOLD – PRIMER 55 – PSYCOSTICK -STRAIGHT LINE STITCH – FORCE FED CHAOS – RECKLESS REDEMPTION!! Read the feature Interview with Erik Virgin and John Sergel of BEYOND THRESHOLD talking about their new album ‘Who We Are’!! Feature interview with Mark Alexander of 3 Quarters Dead, discussing the band’s new album ‘The Cycle of Dust’ that just came out with Turkey Vultures Records, the new videos, and exciting future plans!!! THURSDAY JULY 12TH!!! WXRX Presents: Byron Fest’s “ROCKS THE ROCK” -25th Anniversary Concert Event- POP EVIL, NONPOINT, SOIL, BEYOND THRESHOLD, THE LAST VEGAS, & WAYLAND at The Byron Dragway!! 7287 North River Rd. Byron, IL, 61010. Show:4pm! ALL AGES! $25 In Adv!! 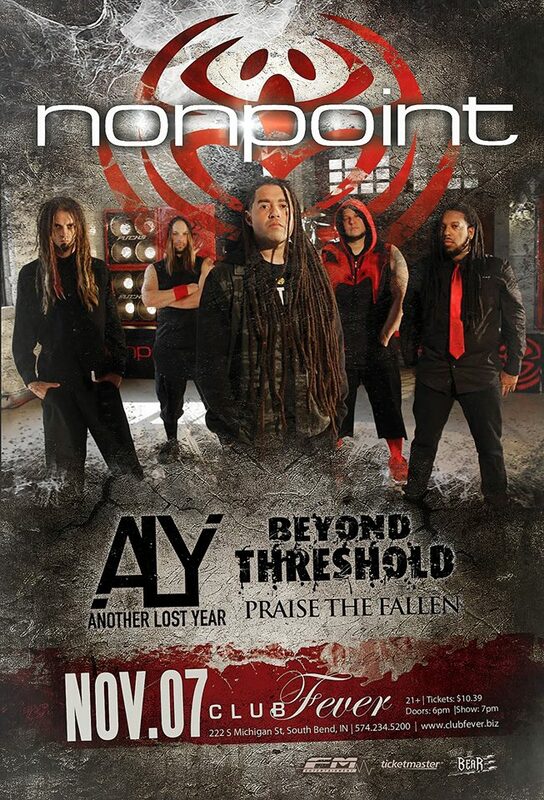 We will be announcing this headliner this week! Stay Tuned! This will be HUGE!!!!! !